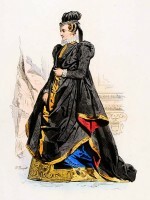 French court dresses. 16th century. Home » French court dresses. 16th century. 1st – Guards under Charles IX. and Henry III. 6. – Louise de Lorraine (1553 –1601) Queen consort, wife of Henry III. 8. – President of Parliament. 9. – Doctor of Medicine. 10. – Margaret of Lorraine Duchess of Alençon (1463 – 1521) . 12. 13. 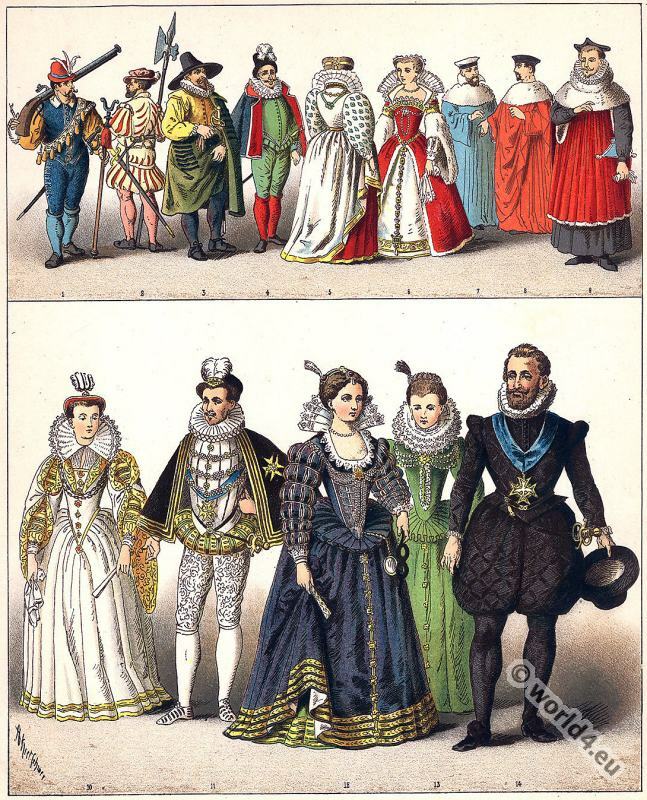 – Court dresses at the time of Henry IV. at the end of the 16th century. 14. – Henry IV. to 16th century. German lansquenets. 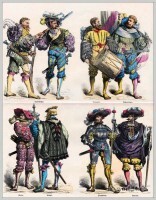 Thirty Years' War clothing. 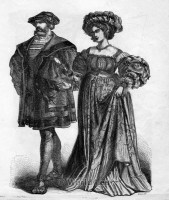 Renaissance Costumes, 16th Century. German citizen. Captain costume of the emperor's guard. Dutch Guelderian Wars. Lady of the French Court in Spanish fashion 1579. This entry was posted in 1560, 1590, 16th Century, Court dress, France, Nobility, Renaissance and tagged Renaissance fashion era on 2/16/15 by world4.